The ever-changing London skyline is captured by cameras mounted on the W Hotel roof in Leicester Square. Animated panoramic views of the last 24 hours are recreated in short performances across 600 lights diffused through specially fritted glass, transforming the facade into a digital light-sensitive canvas by night. 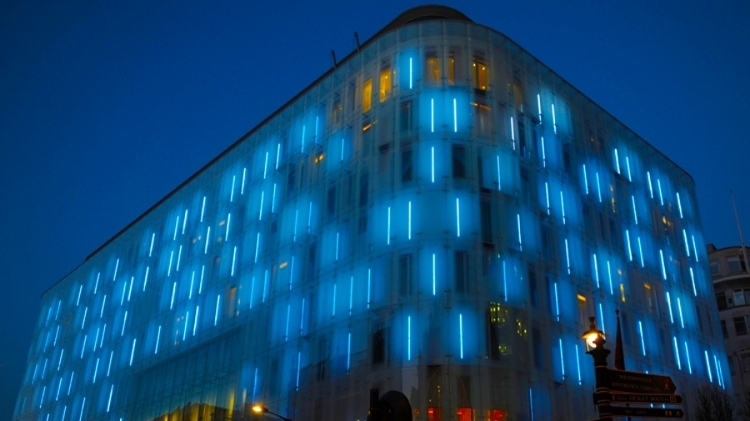 Show Time is London’s first permanent responsive and illuminated façade artwork. 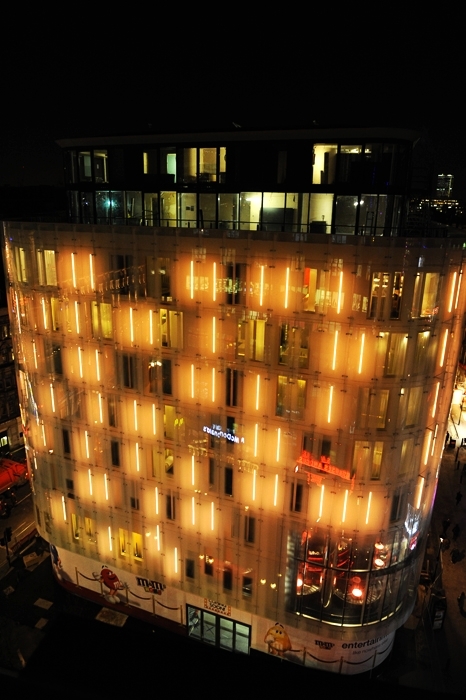 The integrated public artwork was commissioned by McAleer and Rushe for the Swiss Centre Building in Leicester Square, Westminster. Jason Bruges Studio collaborated with Jestico and Whiles and Videocreative.